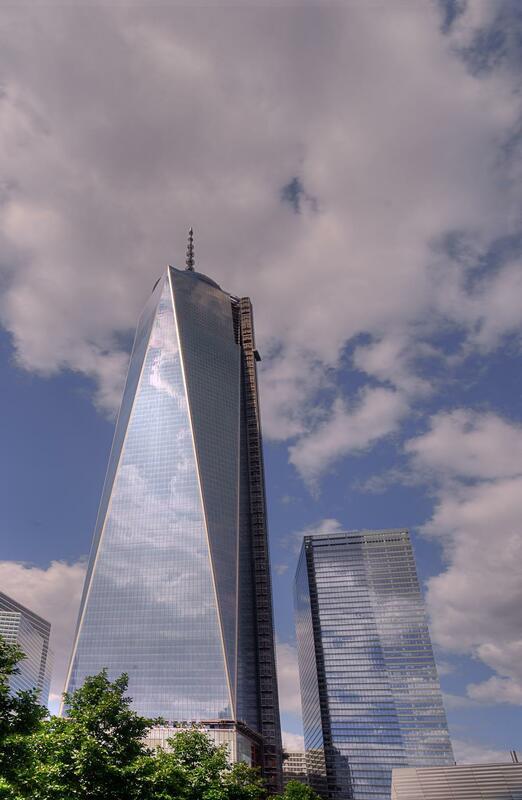 While the Freedom Tower is not yet completely built, it is still complete enough to function as part of the World Trade Center Memorial. The line to get in can be annoying and it is a long walk in. You have to go past metal detectors and x-ray machines. But once there, the memorial is respectful and pretty and the tower’s reflectivity of the sky adds to the allure of the memorial. If you are into photographing the Freedom Tower, wait until you have completely entered the memorial for your best shots. Catching the clouds and the sky in the windows of the tower makes for a particularly nice photo. Even though tripods weren’t allowed, I was able to brace myself against a pole or tree enough to get three shots of different exposures to perform HDR on the photos later on. I used Photomatix Pro by HDRsoft which had no problem aligning the photographs. 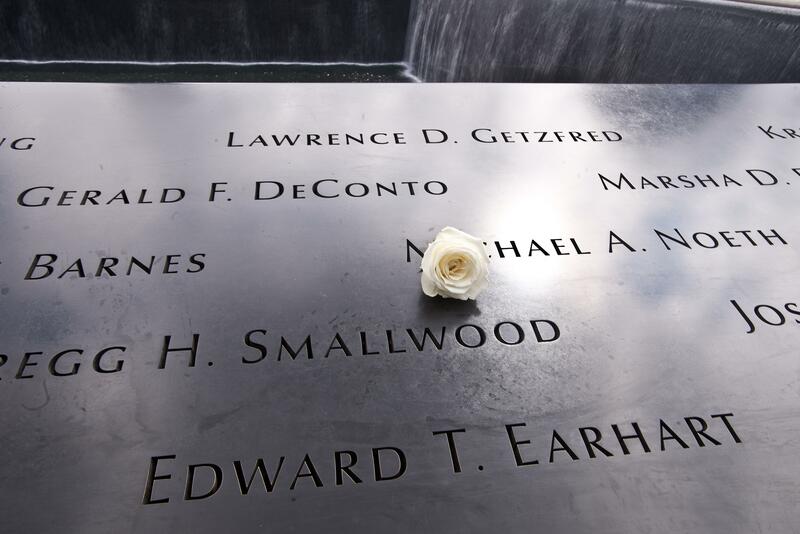 Particularly moving and memorable are the small white carnations left besides some of the names of the people who died in the attacks. It makes for particularly poignant photos.